Seattle to DC ... DC to Dubai. I admit to flying in the front and sleeping well. Dubai hotel has exceeded my expectations including a Mecca directional finder right next to my bed. Swam and relaxed, spoiled - I suspect things will change a bit in a few hours when I fly to Kabul. Old Afghan trip story # 1. I had been in Mashad in Eastern Iran - It is one of the holiest cities for Muslims in the world and the second largest and the holiest city in Iran. I had traveled across Iran, but Mashad on Muhammad's birthday was an experience. My Persian friends dressed me appropriately and took me to the grand Mosque with the instruction that if anyone talked to me, I was to walk away quickly. After the holiday, I left Mashad for the Afghani border. The border was in a remote area with a wide no man's land between them. 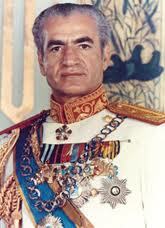 The Iranian side was fairly modern with the best propaganda photo I had ever seen; it was the Shah, dressed in a business suit but looking regal with the earth superimposed below him. He seemed to be bigger than life, bigger than the world. After clearing Iranian customs, such as they were, we were told that there was a bus to take us the mile or so to the Afghan side. Great, but the price though less than a kebab in Seattle now, seemed arbitrary and I refused to pay saying I could walk. Several others joined me and began the bus started following us with an ongoing negotiation. We eventually boarded and I had found a friend; Brian, a Canadian, but not covered in maple leafs, also traveling by himself to the East. On arrival at the mud hut on the Afghan side, we found disheveled but uniformed guards. Upon closer inspection, it was clear that the uniforms were WWII vintage US Air force uniforms with the insignias removed. Welcome to Afghanistan circa 1974. I was asked for my immunization papers which I am certain was only a request for baksheesh since the literacy of the guards was in synch with their uniforms. My new friend Brian unfortunately had no immunization documents so had to go to the clinic, to which I accompanied him. He was to get a shot and I had to force the question to get basic sterilization for the needle. I traveled with Brian to Herat (where he was a pied piper since he had a flute and hundreds of kids would follow us as we sang, danced and he flauted.) He was still healthy a week or two later so the inoculation was innocuous. I can't imagine that tomorrow's re-entry to Afghanistan will be any weirder than my first.